Metal & wood is a lovely pairing and in music it's a pure delight, especially with this pair of distinguished improvisers. Khan is a master of shimmering tones and this program explores those tones. 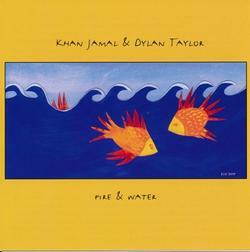 Underpinning all that is Khan is the sumptuous cello/bass work of Dylan Taylor. This is all together an indulgence in beauty and invention.